What is the Best Handheld Microdermabrasion Machine? It’s no secret that celebrities can afford regular trips to spas and skin clinics. They indulge in different types of treatments to achieve a youthful, flawless skin. Microdermabrasion? Yes, please. Lucky you if you’re as loaded as your favorite Hollywood star. But for the rest of us who can’t afford expensive treatments, we’re always on the lookout for cheaper alternatives that work. So thanks to cosmetics companies that offer handheld microderm machines, we can reap the benefits of exfoliation anywhere – right at the comforts of our home, and even out of the country. Here are our top picks for the best handheld microdermabrasion machine that can give us that luminous, glowing skin we’ve been dying to have ever since. The Microderm GLO follows a tear-drop design, which according to the company was done deliberately to give users a truly ergonomic experience. 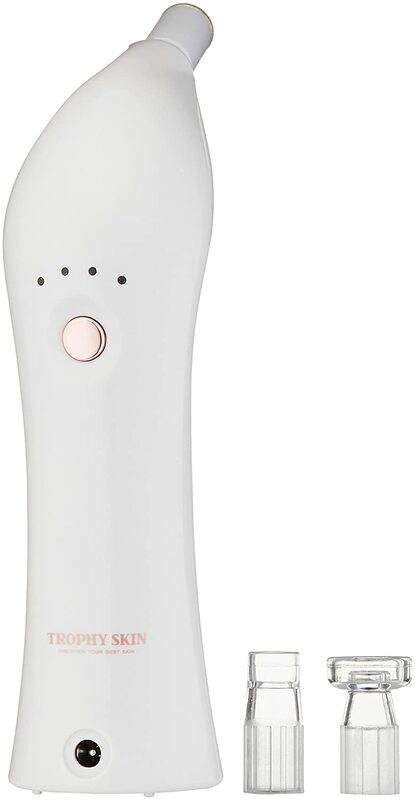 With an automatic timer, this handheld microdermabrasion device makes sure that you cover all areas of your face including the neck in just 4 minutes a week. This motorized device comes with its own charging base, cleaning brush, and a portable carry pouch in case you want to take it with you when traveling. There are two tips to choose from, a diamond tip and a massage tip. 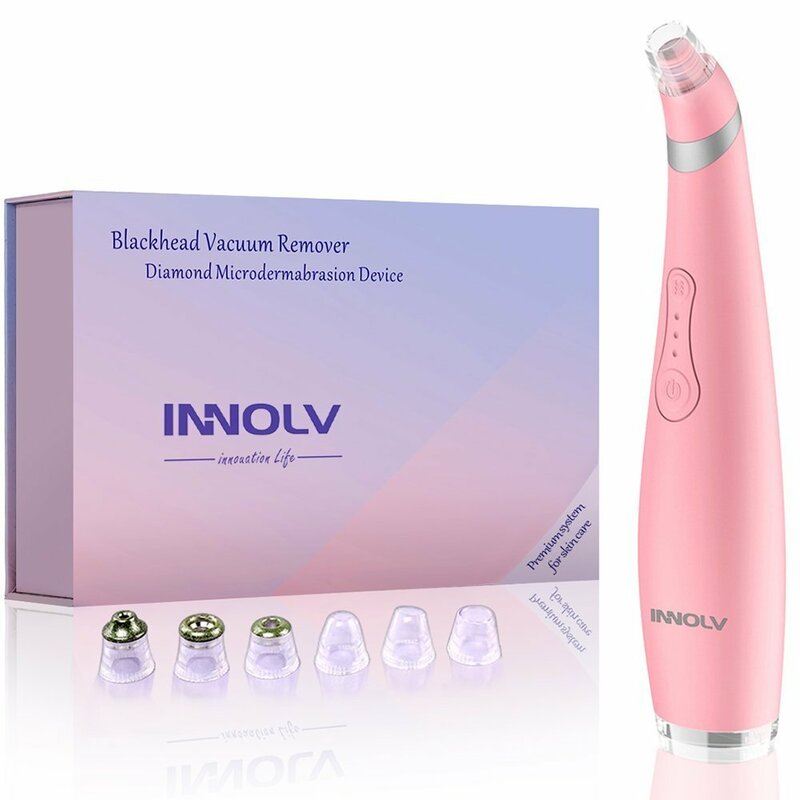 You’ll love Innolv’s Diamond Microdermabrasion Device for sure. Why? Because it’s 2-in-1! 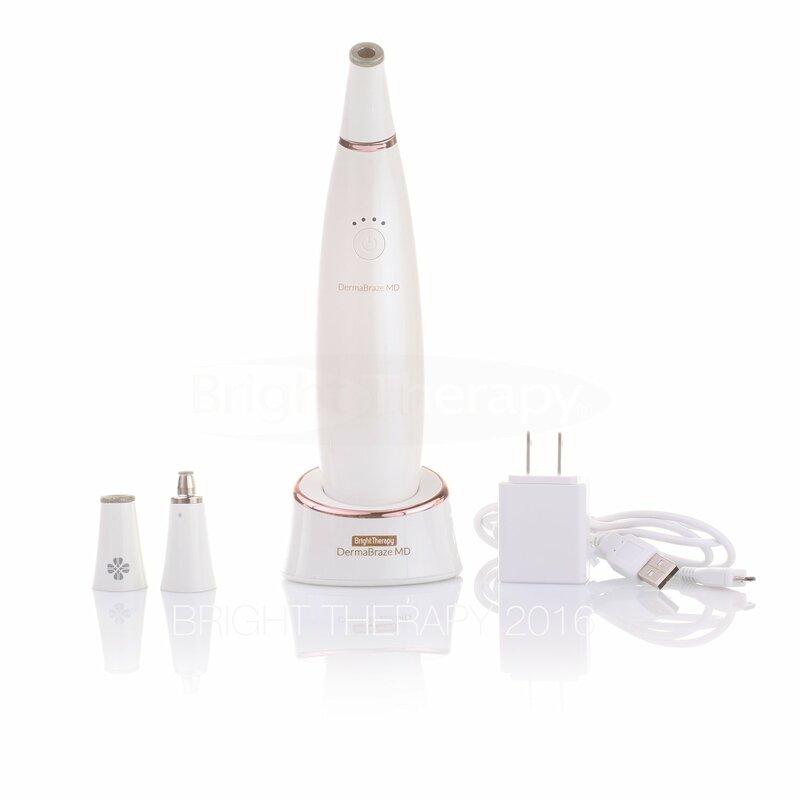 Not only is it a portable microdermabrasion machine, but it’s also a blackhead vacuum remover. How cool is that? This device comes with 6 probes of varying sizes, 3 of which are designed to target different types of imperfections on different areas of the face (and even the body). For instance, the D120 probe targets scars and fine lines. Equipped with a pro-level, clinical-grade diamond tip paired with a 4-level suction motor, this 3-in-1 device is designed to get rid of imperfections on your face, neck, hands, and feet. Aside from being a microdermabrasion tool, the DermaBrazeMD is also an easy-to-use device that helps to reduce and declog enlarged pores, and to remove blackheads. The Rejuvaderm MD is one of the most popular microderm systems out there. As advertised, this product is a 3-in-1 device that combines the power of suction and efficiency of diamonds to gently and effectively exfoliate dead skin cells to reveal only glowing skin. To reap the benefits of microdermabrasion, Trophy Skin suggests that its customers follow a 3-step procedure – exfoliate, extract, and infuse. Two times a week, use the Diamond Tip to exfoliate for 5 minutes. Then, change to the Pore Extraction Tip to extract any oil buildup inside your pores. Last, infuse creams deep into the skin through the Infusion Tip.